I removed what was left of the lower interior. Them I remade the drawer blades and dust covers. The drawer blade is set into the case on a half housed dove tale. The dust cover slides into the case in a 1/2″ groove. There is a tongue cut on the front of the dust cover . This meets a groove that is cut into the back of the drawer blade. This will be glued together. The dust cover will not be glued to the inside of the case. The drawer blade will be glued to the case. This will let the dust cover come and go with humidity changes with out cracking the case sides. 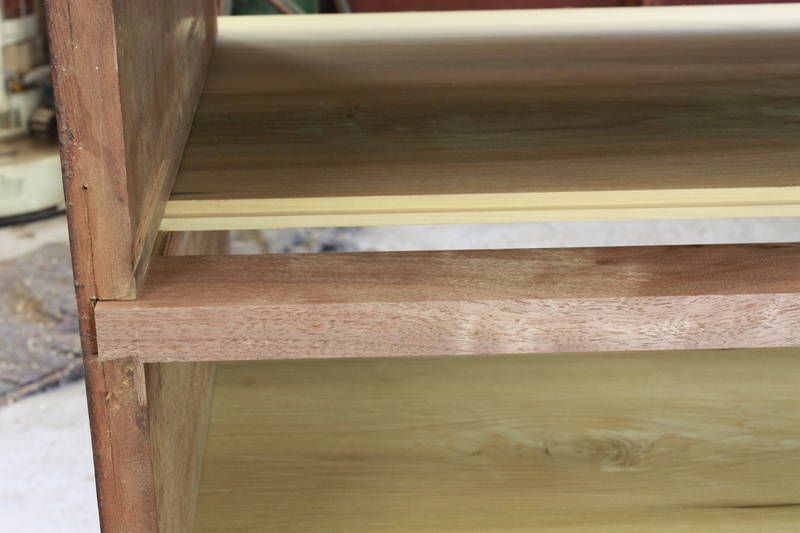 All the surfaces of the replacement wood have been hand planed. 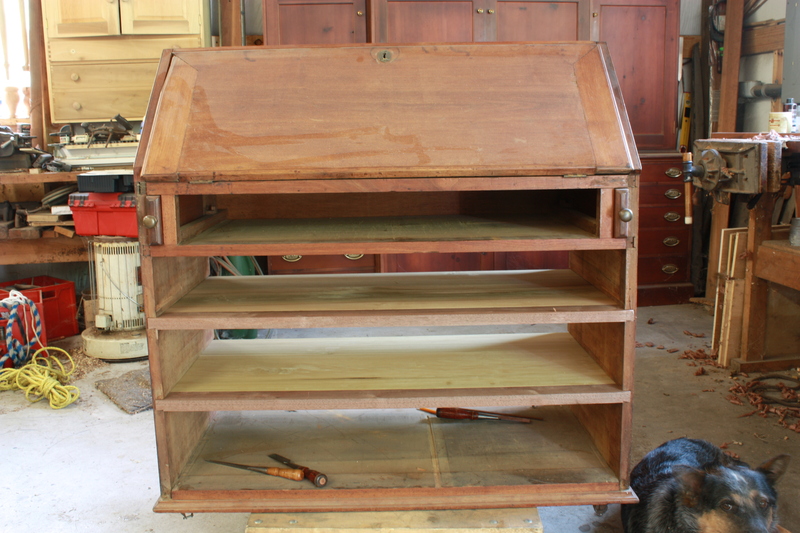 This entry was posted on July 28, 2011 by furniturewithhistory. It was filed under slant-front desk and was tagged with drawer blade, dust cover, tongue&groove.